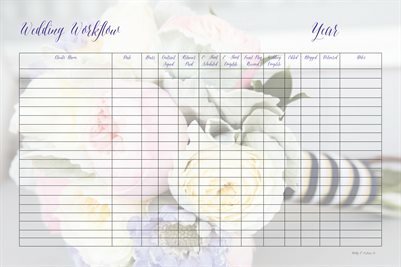 Our Wedding Workflow is what keeps us organized. It allows us to see at a glance all of our upcoming weddings and where the couples are in the planning process. You can put it in a glass frame and use a dry erase marker to fill in the blanks and then erase it once complete.